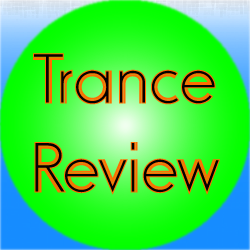 This review covers the progressive trance track Juventa – Sapphire (Suncatcher Remix). This track was released in 2010. It was released along with three other versions. The track starts off with some general effects. It gives the track a rather airy sound. From there, a general melody is added that is backed with some other synths to give the track some texture. The melody plays out throughout the drop before it too fades away. This leaves only a few minor effects. When the build-up happens, there are some sweep effects along with the main melody. The main melody is a somewhat modified version of the melody heard earlier in the track. A second synth is eventually layered with the main melody synth. The various pads help the build-up along. At some point, a piano element is added as well. Eventually, a jackhammer of bass drum sounds hits to bring the track to the main portion. Eventually, an additional piano element is added to help punctuate the climactic portion of the track. The final breakdown then begins with the removal of the piano. Various effects eventually fade away. A sweep effect is hear and the track is led out with the sounds that is heard at the beginning. The main melody as well as the sub-melody with the main synth works well in making this a great track to listen to. They are both a case of simple, yet effective melodies. The layering effects also works well to give the track a sense of progression. The piano portion gives this track that added quality. It accentuates the climactic portion of the track very nicely. Generally speaking, this track offers a great, yet laid back sound. There’s that simple, yet effective, melody throughout times two. With good vibes, and a great sense of progression, I’ll say that this is a very good track all around. Definitely worth listening to.